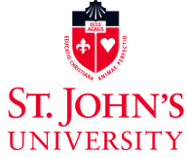 This campaign ended on April 30, 2015, but you can still make a gift to St. John's University by clicking here! Ryall Carroll gave $100 because 11 donors made a gift in 3 days. Linda M. Sama gave $100 because 20 donors made a gift in 1 day. Donors will receive a GLOBE bundle that includes a GLOBE tee, a GLOBE water bottle, and a GLOBE calendar. In a world far away from your computer screen live our borrowers. They survive dire circumstances, in the margins of society, living on a mere dollar or two per day. They are far from our sight, but close to our hearts. They are the poorest of the poor, the forgotten ones. This is where GLOBE comes in. Here at GLOBE, our mission is “to eradicate poverty within our lifetime”. It may sound like a lofty goal, but we sincerely believe we can do it --with your help! GLOBE (Global Loan Opportunities for Budding Entrepreneurs), a student-managed microloan program here at St. John’s, provides loans -- sourced entirely through donations -- to entrepreneurs in the developing world. We have borrowers in the Democratic Republic of Congo, Kenya, Nigeria, Nicaragua, and Vietnam. New and hopeful borrowers await us in the Philippines and Guatemala. Help us to reach them! GLOBE hands out small loans that have a big impact in the lives of our borrowers, bringing them to the first rung of the ladder that will let them climb out of poverty. Since GLOBE’s launch in 2009, we have approved loans benefitting 94 borrowers, mostly women. Donations allow GLOBE to continue providing loans to those living in poverty, and to continue sending GLOBE student managers into the field to see the face of poverty first-hand and help our borrowers meet their business challenges! Our video demonstrates how your donation impacts our borrowers and our students. In honor of our 94 borrowers, we are asking for your help for our #94globeborrowers campaign, the first student group-led campaign on GiveCampus. We need 94 donors to help us continue our mission. Every gift matters. One dollar matches the income from a whole day’s work for one of our borrowers. And each gift goes a long way in empowering our borrowers. Take Maria in Nicaragua as an example -- with a $500 loan, she opened up her own school and crafts supply store in Managua. With her new income she is able to send her children to school. Your donation, large or small, will make a world of difference to someone and will bring us one step closer to our goal of changing the face of global poverty forever. Please join us! Make a donation to GLOBE today!